Abatement Solutions Inc.’s mold removal services can put an end to the mold problem in your Atlanta, GA, home. 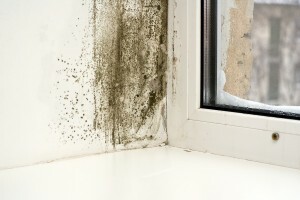 If you’ve seen mold, noticed a moldy smell, or recently had a water leak in your home, let our Certified Mold Remediation Contractors identify the extent of the problem, eliminate the mold, and prevent it from growing in your home again. We guarantee that after we perform our mold removal services, an independent testing firm will provide you with a certification letter that confirms the mold contamination is reduced to acceptable levels and your home is once again a safe environment. Whether you have mold growing in your attic, basement, crawlspace, or any part of the living area in your Atlanta, GA, home, our mold removal experts will use the right combination of methods to remediate the issue and make your home safe. Because mold needs a source of moisture to grow, some water extraction or dry-out is typically required before our mold removal work can begin. We will utilize water extractors, air movers, de-humidifiers, and other equipment to extract water from the affected area to prevent further mold growth and allow us to address the existing infestation. Next, we’ll seal off the contaminated area with a plastic containment barrier and put that area under negative pressure, keeping mold spores from entering other parts of your home. Our air scrubbers will pull contaminated air out from the mold-affected area, filtering out mold spores and releasing only clean air. We’ll use a low-VOC peroxide cleaner to safely clean mold from the infected parts of your home. Some porous, mold-impacted items may need to be discarded as part of our mold removal work, so we’ll bag and safely dispose of them, ensuring that they won’t contaminate other parts of your residence. We’ll apply an EPA-registered mold removal treatment as needed to disinfect, sanitize, and de-odorize the mold-impacted area. Strong enough to be used as a hospital disinfectant, our SHOCKWAVE™ mold removal solution can do wonders to make your home a safe environment for you and your family. To ensure that your mold problem is gone once and for all, we will apply a preventative spray on the areas of your home that have been affected by mold. We back this mold and mildew prevention coating with an exceptional 10-year warranty. Finally, after our mold removal and prevention work is done, we can restore any parts of your home that need to be repaired or rebuilt. We can replace sheetrock, walls, baseboards, cabinets, and anything else that you need to return your home back to its original condition. If you want mold removal and prevention services that will ensure your home is a healthy environment, contact the mold experts at Abatement Solutions Inc. today. Our family-owned and -operated business proudly serves homeowners in Atlanta, GA, and nearby areas.